It happened in the middle of the night, at the end of September last year. I was laying awake, worrying about the 2007 primeurs I had reserved for my young wine business. It was already clear that the 2007's (just as − to a lesser extent − the 2006's) were not going to be the hot cakes like the 2005's were. But the market still behaved like it had for years: if you wouldn't buy certain wines, you'd miss out on these − in other words: if you'd snooze, you'd loose. The financial crisis was still far away. 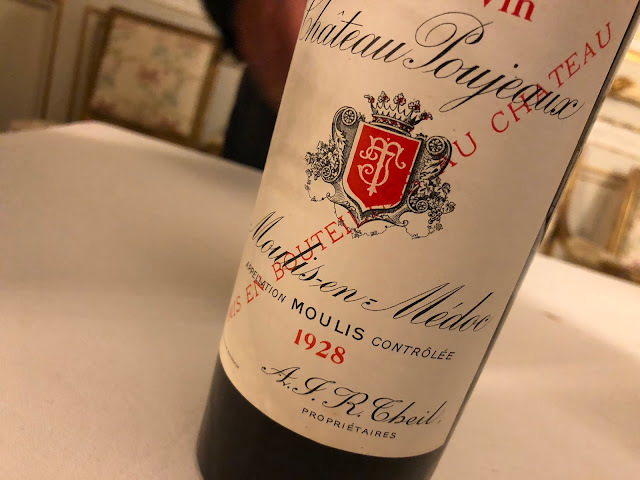 But that night I just didn't feel good about "taking a position" in Bordeaux 2007, about making an investment in this average vintage − while unsure about when to eventually sell these cases. The feeling was strong, and I had experienced more than once that strong feelings shouldn't be put aside. So the next morning I carefully informed about the possibility to give back most of my reservations. It was no problem. What might have helped: the wines that I had selected are among the most sought after, e.g. Léoville-Las-Cases and Pavillon Rouge. Today I am glad that I made this decision. That something inside me decided to wake me up that night. Today we know that everything is different, that the old rules do not apply any more, that we have entered an era of uncertainty and question marks. One sure thing is that prices are under pressure. Particularly for the more speculative wines (the most expensive, the most prestigious), and for certain − relatively highly priced − vintages. Number one is 2007 I'm afraid. The customer wouldn't mind a price drop, but for the trade it would mean a loss. Regarding the 2007 prices, until now not much is really happening. We are overlooking a tranquil, frozen field in which prices are stamped like the grooves from a plough. Nothing moves in this wintry landscape, no one wants to move. And no one really has to... until the Bordeaux 2008 campaign is pitching its tents here, and stirring up the lurking market. In January I wrote about Bordeaux 2008 and what to expect from the primeur campaign and I won't repeat myself here, but when we look at it in a simple way it seems that there are two possible outcomes: Bordeaux 2008 is expensive again and won't sell, or the prices go down, with the effect that Bordeaux 2007 becomes too expensive. For the trade both directions are undesirable, for the buyer it's a different story of course. There are other routes, e.g. as suggested by fellow blogger Nick Stephens (in the italic part of his posting) but I'm afraid all this is too creative and intricate in the eyes of the rude beast called Market. The number "7" is clearly the problem, 1997 went down in price as well. Also a mediocre vintage, and overpriced at the time. Well, whatever happens... it is going to be very interesting. I keep you posted. 2005, 2006 or just wait?